On behalf of Admin of JML Law, A Professional Law Corporation posted in Police Misconduct on Monday, Oct 01 2018. For decades, California has restricted public access to police misconduct records. These records have been kept secret for so long, but not anymore. A new law, signed by Government Jerry Brown during the last days of his tenure as governor, authorized the release of information about police misconduct cases involving sexual assaults, use of weapons and deadly force on people, and dishonesty in reports. It is undeniable that the new law, which has been advocated for by safety groups for many years, will bridge the gap between the police and communities, and could even reduce the number of police misconduct cases in California. However, critics are not thrilled about the new legislation, arguing that it could unfairly impact law enforcement agencies that deal with police misconduct appropriately as well as police officers that do their job well. When will police misconduct records be available to the public? The new law, which takes effect starting January 1, 2019, will finally allow the public to unseal internal investigation records related to cases in which officers use weapons on people, commit sexual assault or lie in police and investigative reports. Under the SB 1421 law, these police misconduct records will be unsealed 18 months after the incident took place. For all those who have advocated for bringing police misconduct records to light for many years, the new law is a victory, as it promotes accountability and transparency, the lack of which has eroded the trust between the police and the public. Our Los Angeles sexual harassment attorney at JML Law explains that the public has a right to know how the law enforcement investigates and deals with cases involving police shooting, sexual assaults by officers, and false statements in police reports. Critics have been lambasting the idea of giving the public access to police misconduct records for many years, but their criticism has grown louder now that the law has been signed. One of the concerns is that the protection of officers who are doing their job well could be in danger. In addition to that, the law is expected to prompt many convicted criminals to seek exoneration. 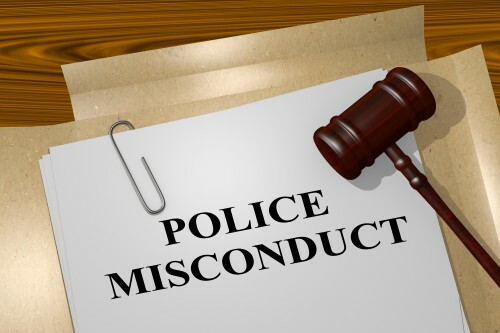 “It also goes without saying that the new law releasing police misconduct records could potentially negatively affect law enforcement agencies that deal with misconduct appropriately,” says our Los Angeles police misconduct attorney. The process of investigating police misconduct internally is thought to be unfair and biased in favor of the officer. There have been multiple cases in which law enforcement agencies covered up for the officers or ignored police misconduct claims at all. Under the new law, there is a comprehensive list of what can be unsealed to the public, including but not limited to evidence, investigative records, recordings of interviews, disciplinary documents, and a variety of other reports and records obtained or discovered during the investigation. However, not all types of police misconduct claims will be available to the public, says our Los Angeles sexual harassment attorney at JML Law. The bill was amended to keep baseless and unfounded complaints with little to not supportive evidence from being available to the public, as this could negatively impact the reputation of the accused officer of the police department when the accused party’s wrongdoing has not been proven. Have you been a victim of police misconduct in Los Angeles or elsewhere in California? Do not hesitate to contact our attorneys at JML Law to speak about your case. The law may be on your side, but you still need a skilled lawyer to seek justice. Call our offices at 818-610-8800 to get a free consultation.